The Super Nintendo was the first video game machine I bought with my own money, if by my own money I mean money mom gave me to buy a school lunch. I never got an allowance. What money I had was stuff saved from gifts or any time the parents gave me cash for a school trip and I could squirrel away the change. I was in 7th grade when the SNES hit US shores and Mario taunted me from the pages of Nintendo Power. It took me almost half a year of subsisting on milk and the occasional slice of cafeteria pizza to scrape the money together. With great triumph, I dumped the cash on the checkout counter and rode home with a shiny new SNES on my lap. I almost didn't get to play Mario World, I almost didn't get to play my brand new SNES at all. At the time, I had an old TV set with a 13 channel dial and nowhere to hook the system. The newest TV in the house—the only one the SNES was compatible with—was in my parents' bedroom. It took a bit of convincing, but Mom finally allowed the SNES into her room. This arrangement probably sped up the decision to buy another TV. Super Mario World was captivating. I played the game for months, ferreting out every secret on my own, every hidden level, every path to the star road. I beat the difficult special worlds too and was awarded with... Mario-headed koopas. On this replay I wasn't quite so ambitious. The only hidden spot I sought out was the top secret area that acts as a quick pit stop to fully power up Mario. Beyond that I was content to just work my way straight towards a showdown with Bowser. These days, Nintendo has taken two approaches to the Mario franchise: games that boldly experiment with new mechanics like gravity, and games that seek to capture the magic of yesteryear. 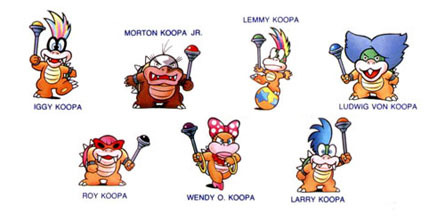 For Nintendo's next "New" Super Mario Bros., perhaps Mario World, with its plethora of alternate paths (and multi-colored Yoshis! ), could serve as the foundation. My first serious introduction to Mario was actually Super Mario Bros. 2. Mario 2 has an interesting development history, starting off as a prototype sequel to Mario 1, being scrapped due to the technical limitations of the NES, revived and fully developed as Doki Doki Panic in Japan, then re-purposed back into Super Mario Bros. 2 for its North American release. However it started, it ended up being my first experience with the series and thus, my most nostalgic Mario game. Mario 2 also has the distinction of being the game that took me the longest of any game to complete: over half a year. I played and played it but could never get past Clawgrip. After yet another game over, I turned off the system and walked away for 6 months. When I finally played it again, I made it all the way to Wart and beat it. Practice makes perfect, but sometimes you just need to take a long break to improve. 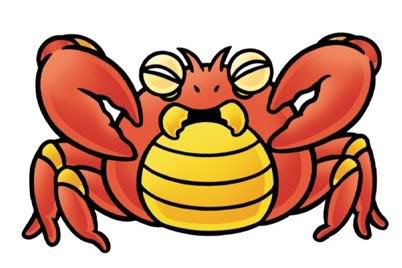 The original Giant Enemy Crab. These days, I no longer own an NES, but in 1993 Nintendo was kind enough to stuff every previous Mario game into one SNES cart. For this replay I just played a few levels of Mario 1 and The Lost Levels. I'd fully completed both games in the past (no warp zones) and once was enough. Mario 1 is kind of a tedious game for me and Lost Levels is its sadistic twin. I still remember the jump in that game that Mario could not make. I had to use Luigi, who could jump farther, but apparently covered the bottom of his shoes with grease. Mario 2 was a much more fun revisit and I enjoyed it at least as much as Mario 3 and World. 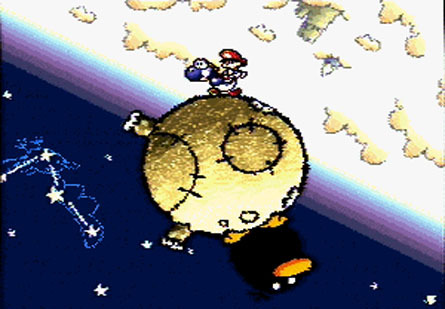 Mario 2 added so many different actions and fun surprises, like pulling up a weed and getting a rocket ship, or riding one of Birdo's eggs as the solution to a seemingly dead end. I also love it for giving me different characters to play as—Princess Peach all the way! I finished off with a complete playthrough of Super Mario Bros. 3. While some people got their first glimpse of this game in a movie theater, I was introduced to it at a Pizza Hut. The place had a 3-in-1 arcade unit, and one of the games was Mario 3, which I dutifully fed quarters to for around half an hour. Mario 3 is probably the best remembered and most iconic of the 2D Mario games, even more so than the first game. 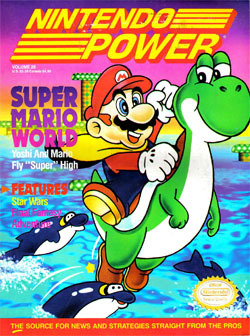 It provided a full wardrobe of costume power-ups, allowed Mario to fly, introduced us to the Koopa Kids, and added the first overworld to the series. The later worlds of the game are pretty intimidating. To this day, I tend to use the P-wing to fly over some levels leading up to the Koopa King. I had always been more of an action oriented gamer, liking platformers and the occasional beat-em-up starring the Ninja Turtles. 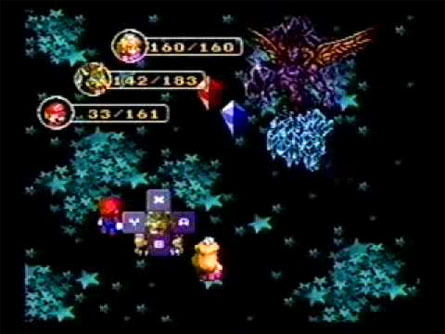 As such, I came into role playing games late, with Mario RPG being my second one (Chrono Trigger was my first). To this day it remains a game filled to the brim with great game play, silly humor, and some of the most creepy, out of place enemy monsters I've ever seen. The goombas and boos are expected, the skeletal mastodons and ghoulish phantasms, not so much. Culex at least has an excuse, it's supposed to reference another game series. Yoshi's Island is a pinnacle of 2D platform design and you really should play it if you haven't already. Now that that's out of the way, let's talk about the art. By this point in time, like an awkward adolescent desperate to be seen as all grown up, the game industry's love affair with mud, blood, and gore had already begun. "Edgy" was in and even cartoony mascots had "attitude." Nintendo, never much for "mature" themes, bucked this trend hard when they put Yoshi out the door in all his crayon splendor. 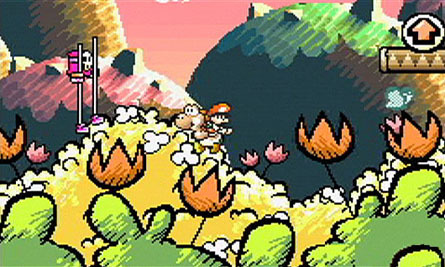 According to Nintendo lore, while Yoshi's Island was in development, Shigeru Miyamoto was advised to use a pre-rendered look similar to the recently released Donkey Kong Country. Miyamoto was having none of it, and went the opposite direction, opting for a look that emphasized the flatness of the 2D characters and environment. This is game art at its best, a style that will never age, never lose its charm. Dear Nintendo, I'd like a sequel please. A sequel that doesn't lose touch with the original game's best ideas. A sequel that's more than just a competent parroting of the original done by an outside studio. Give the plumber a rest and let the little dinosaur shine for a while. Well, I'm approaching the end of the SNES leg of this journey, only three more games to go before I move on to the next console generation in earnest.